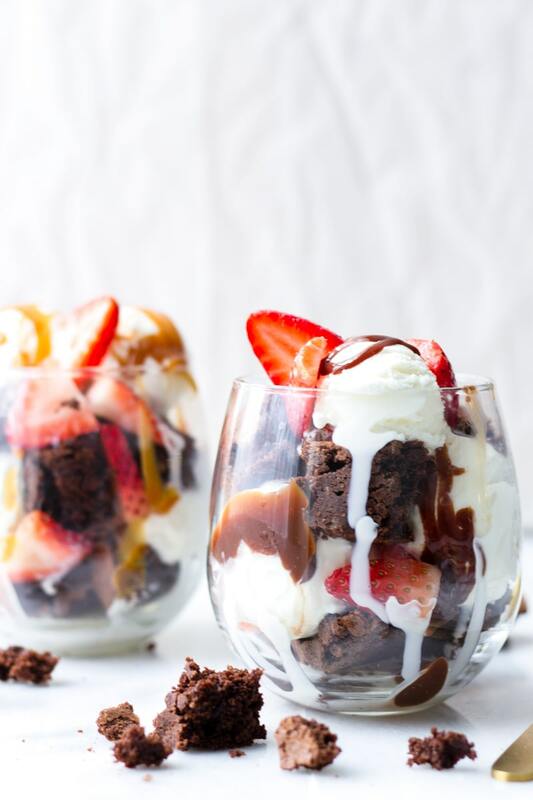 Brownie sundaes are so quick and easy to make, yet so impressive and scrumptious! 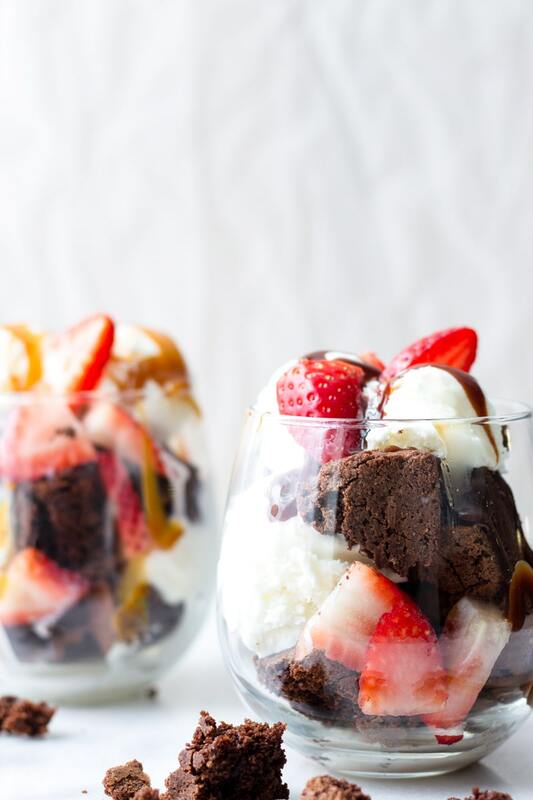 I am making these super easy brownie sundaes for a romantic Valentine’s Day dessert. 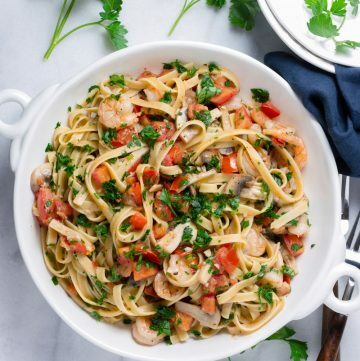 Although, I would eat this any other day…it’s that good and easy! I love making quick and easy desserts, especially if it involves brownies and ice cream. Say those two words, and I’m in! 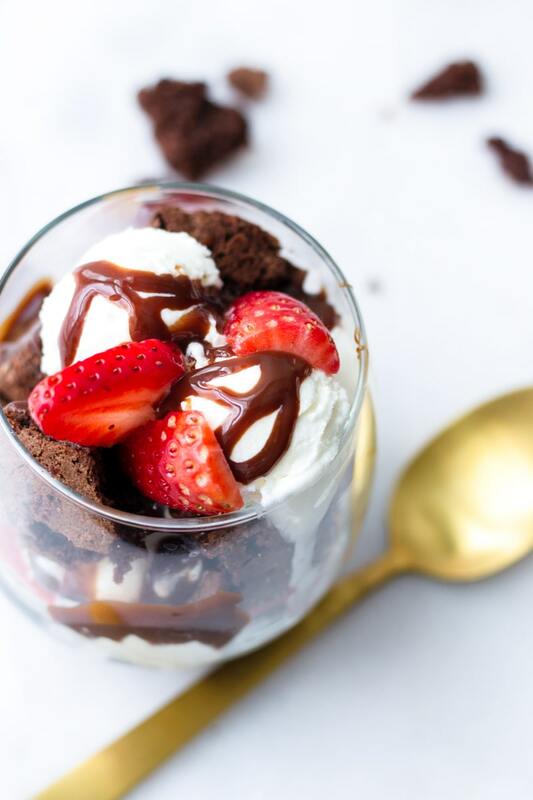 This easy brownie sundae recipe idea came as I was trying to figure how to make an elegant and thoughtful dessert for Valentine’s Day without having to spend hours in the kitchen. After all, this day is all about spending quality time with your significant other. It comes together in 10 minutes or less! All you have to do is pick up the ingredients at your local store and assemble these beautiful caramel or hot fudge brownie sundaes. 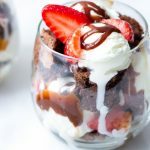 Here’s how to make a brownie sundae: break the brownies into small pieces, and place them in a see-through bowl or wide glass, then add a few scoops of ice cream and hot fudge or caramel. Repeat to make another layer, and top with more chocolate fudge and caramel, and strawberry slices. That’s all! 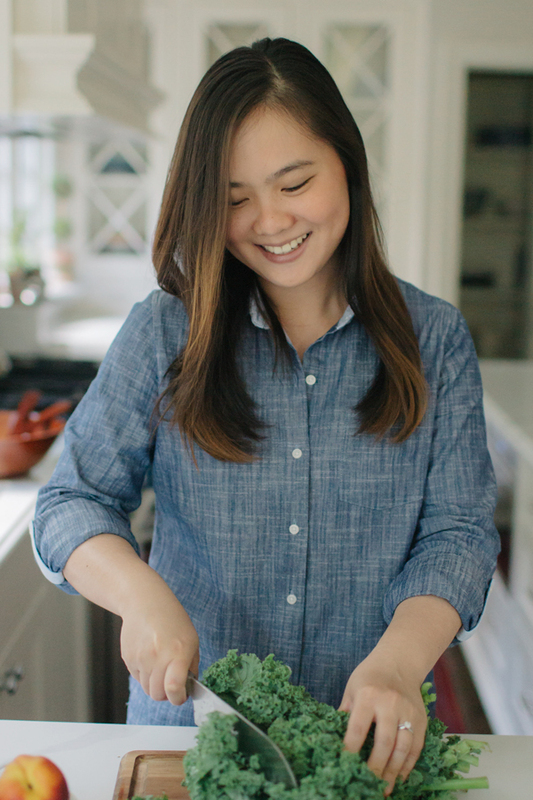 If you’re a little more ambitious, you can definitely make my favorite brownie recipe. Nothing beats homemade brownies, but I’ll admit that these brownies I got at my local store were excellent! I know, the list goes on…if you want to take it a step further, feel free to totally change it up with your toppings of choice. The whole point of this brownie sundae recipe is that it’s easy and quick, and customizing it with your favorite toppings shouldn’t make it any harder. 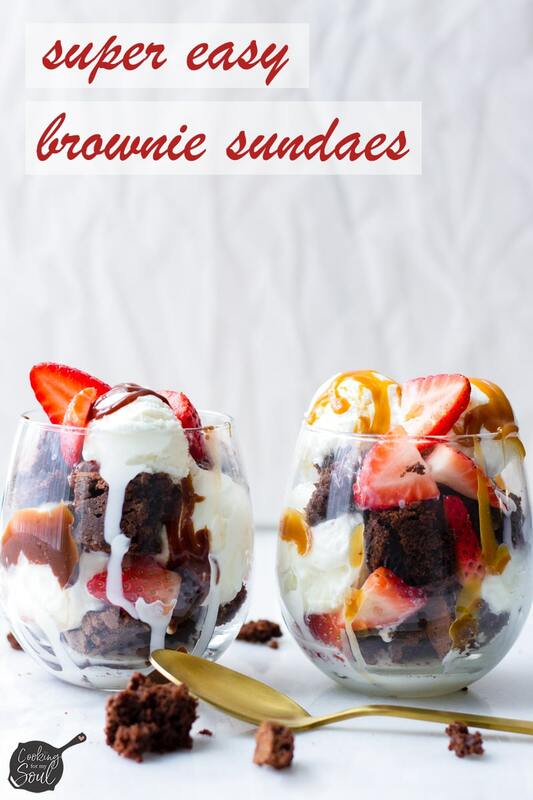 As you can see, these brownie ice cream sundaes are just that easy to make, and highly customizable too. I made these caramel and chocolate brownie sundaes a few days ago, and it was a hit. 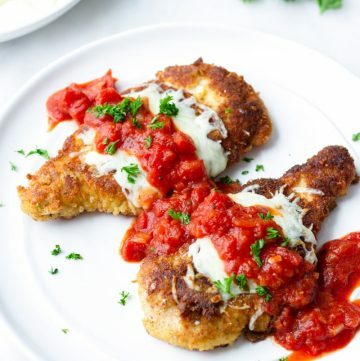 I’ll be making these for Valentine’s Day, along with my Easy Chicken Parmesan for the main course. 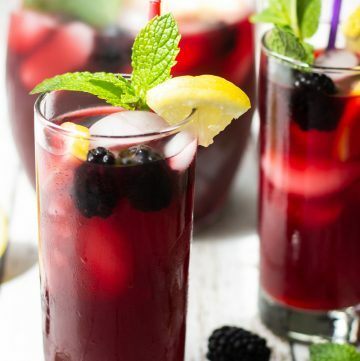 Use a see-through glass for a beautiful presentation. Preferably one with a wide bottom. Warm up the caramel and fudge sauce. 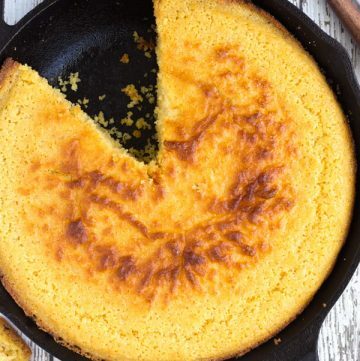 It will make it easier to drizzle and even more delicious. I’d recommend using a small/medium cookie scoop for easy release. 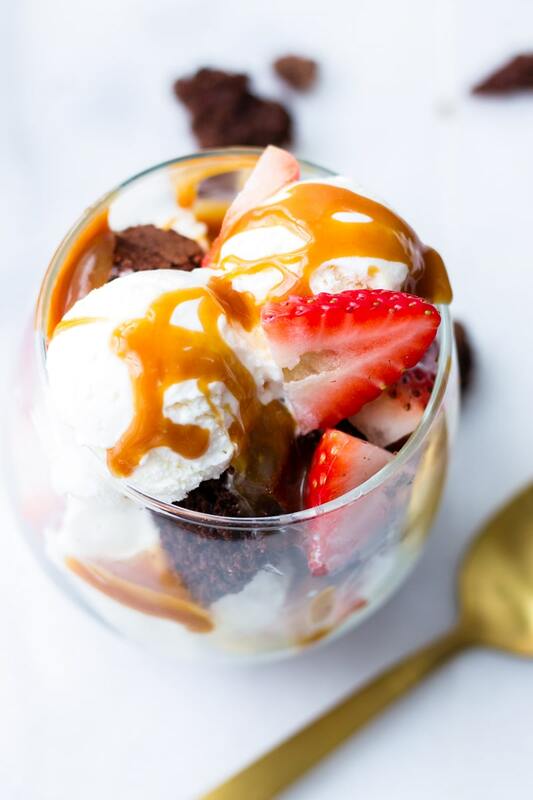 Super easy caramel or fudge brownie sundaes! They come together in 10 minutes or less, and you can get all the ingredients at your local store. 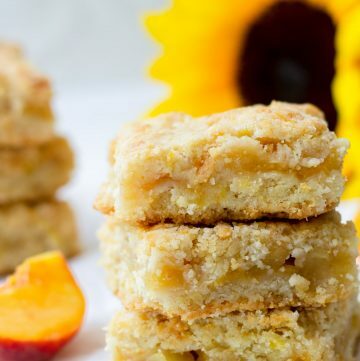 Perfect for an elegant and easy brownie dessert. Break the brownies apart into small pieces. You can use good quality store-bought brownies or make my Perfect Brownies recipe. Place a few brownie bits for the bottom layer. Add a few drizzles of hot fudge or warm caramel sauce, or both. 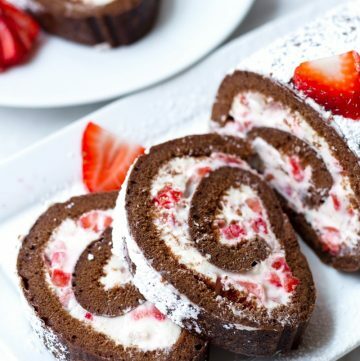 Add a 2-3 slices of strawberry. Add a 2 small scoops of ice cream. 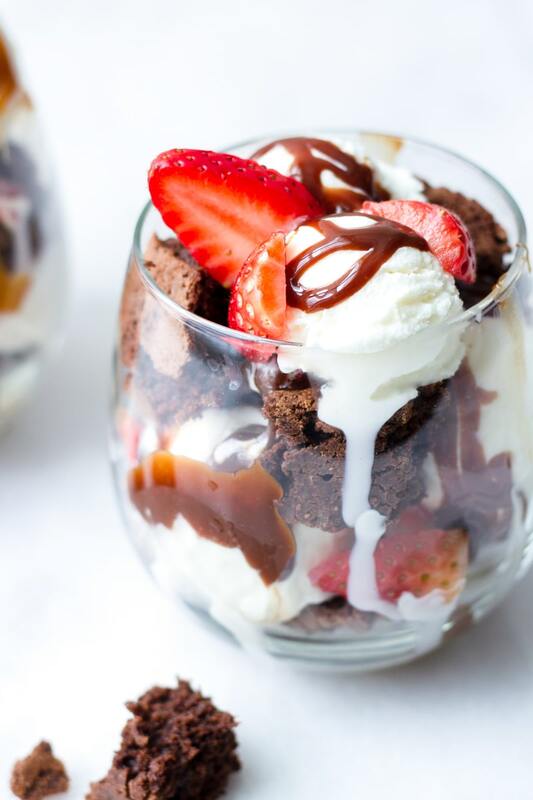 Top with more brownie pieces, more sauce, strawberry slices, and more ice cream. Then finish it off with a few more drizzles of fudge and/or caramel sauce and strawberry slices. For a beautiful presentation, use a see-through glass. I used a wine glass. For the small ice cream scoops, I used a cookie scoop.